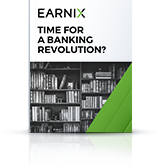 Find out how the Earnix Banking Suite provided an innovative answer to help a top American bank improve its overall pricing process around indirect auto financing. As the market was changing, and competition was becoming stiff, Earnix helped this financial institution identify and combat competitor movement while maintaining appropriate risk levels. An improved pricing process resulted in quantifiable advances with regard to analytical cycle process time, compliance adherence, and overall profit and margin improvements.